All about good music, bad music and why we don’t get those nice melodies any more……. And now to continue my story……..
What do Abba and Mr Beethoven have in common? Beethoven concerts will always “put bums on seats”. Conversely contemporary classical music invariably keeps bums off them. Surely that tells us something? There is probably an element of reputation in Beethoven’s popularity but then how did he get that reputation? Other composers of his time composed huge numbers of works but are not as popular. For example Haydn (also a superb composer) composed 104 symphonies; Beethoven composed 9. Guess who is more popular? I put it down to Beethoven’s strong melodic lines; music that makes you want to dance and sing; music that you can whistle in the shower. I return to one of my opening questions: why have there been no composers approaching their stature in the last 100 years? Surely they didn’t use up all the nice melodies? Skip forward 150 years from Beethoven’s heyday to the start of popular music as we know it today. Arguably it started with Bill Haley, then Elvis. The Coasters. The Platters. The Beatles. The Rolling Stones….the list is interminable and everyone has their favourites. Some would have us believe that certain styles of music are no longer “fashionable”. 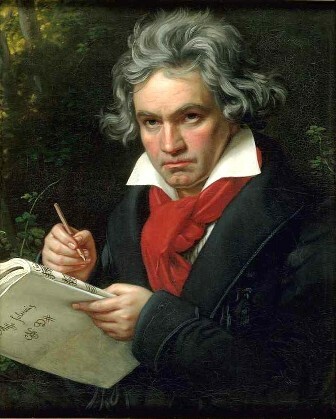 Unfortunately fashion has always played a major role in contemporary composition, even in Beethoven’s time, but I suggest that fashions are not dictated by the public. Conversely popular public taste is often referred to derisively as “populist”, not fashionable. Historically critics and other music professionals have been at the forefront of fashion with documented examples of rejection at best and scathing criticism at worst, of “unfashionable” music. Unfortunately there seems to be fewer recorded examples of the public reaction to those pieces, but subsequent history has clearly shown wide public support for those works. There are of course exemptions, and Stravinsky’s Rite of Spring ballet score is the most notable of those. Briefly, the first performance in 1913 in Paris resulted in public riots in protest at the music. We are told that it can take time for new musical styles to become popular and that even Beethoven stretched the boundaries of what was publicly acceptable – but when that guy died 20,000 mourners lined the streets for his funeral. Today that would be equivalent to half a million on the streets of New York. It didn’t take long for Beethoven to get the public on his side! Whoever or whatever is dictating the current “fashion” in contemporary classical composition, the public are just not buying into it. The public do not want atonal. They don’t want experimentation for the sake of it. Music is not an intellectual exercise. The poor old public much prefer the simple melodies and harmonies which are largely ignored by contemporary composers. This is why the public stick with all the old favourites; they provide something the public can just be able to “sit back and enjoy”. Faced with 150-year-old music and traditions, or bewildering cacophonous contemporary music, it is no wonder that classical music is regarded as “elite” by so many. How has this come about? Could it be that the professionals enjoy atonal, experimental music because their musical tastes are more highly developed than those of the public and hence their preference for intellectual music? Thus composition graduates will conform to those preferences, and the cycle continues. We do not need fashion in classical music and in fact fashion could be said to be the western equivalent of Shostakovich’s Soviet repression. We – the consumer, the customer, the audience – pay the piper. We should also call the tune! Have I been a bit harsh? 1. Most regular attendees of classical concerts view new compositions with apprehension. 2. In general only classical music more than 100 years old is universally popular with paying audiences. 3. There has not been a single classical composer with the universal stature of the 18th and 19th century greats, in the last 100 years. 4. Most new classical music has few or no memorable melody lines. If you still think I’m off beam maybe you would like to point out where I’m wrong! Somewhere, somehow, the world of contemporary composition has headed down a very narrow path and has lost sight of its supporters, the public at large. However I would like to end on a positive note. 1. Ignore experts. One of the few real freedoms we have left is to choose whether to like or dislike. If you like a piece of music, don’t be talked out of it – even by me. Enjoy it, support it and feel the freedom! I have had many people say to me that they “know little about music but rather enjoyed a piece of music.” My invariable response is that they don’t need to know anything about music. It is enough that they enjoyed it. 2. Be adventurous. Try a new musical genre. Try a new composer. Try a new band. The worst that can happen is that you have wasted the price of a ticket. The best that can happen is that a whole new world opens up to you, as it has for me in the last 15 years. 3. Don’t create fashions! Producing hordes of latter-day Beethoven or McCartney clones would again make us slaves to music fashion. Total freedom in music must be encouraged. If you want to compose saccharine ballads, go for it! If you want to compose a concerto for tuba and side drum, go for it! Our budding composers should be actively encouraged to do what they want to do, but to do it well. To be able to compose Country and Western so sad even your dog will start crying. Or try to take over Mozart’s mantle if you’re brave (or silly) enough. The public will soon let you know if you get it right. 4. Contemporary music isn’t all bad. I clearly recall the first visit to New Zealand of the Eroica Trio, an extremely talented piano trio from USA. As part of their concert they performed a new piece by a local college girl and it was very enjoyable. Lovely harmonies, a beautifully structured piece that was pleasant to listen to. Our applause for that piece was genuine affirmation. I recently attended a composers’ workshop and had several days of wall-to-wall contemporary classical music. Some of it was outside my comfort zone but some of it I genuinely enjoyed. 5. WE MUST STILL SUPPORT NEW COMPOSERS AND EXPERIMENTATION. I do not advocate banning experimental music. I just want to encourage more classical composers (and writers of popular music) to provide for those of us with traditional, simple, tastes in music. The ones that get it right will get a rewarding career. The ones that get it wrong may need to revise their ambitions, and I include myself in that category. 6. Most importantly. History has shown us that the public are the best judges of music that will endure. Composers who want to bring enjoyment to a wide audience should let only the public and history be the judge of their success. As a budding composer, have I put my money where my mouth is? Judge for yourself with clips of my first composition. They may not be Mozart (I wish!) but the melodic lines are strong. I hope I haven’t lost you with my ramblings. However I started by asking if all the nice tunes been used up. My response is: NO! There are innumerable melodies still to be written. They must be written. There is a huge audience just waiting for those nice, simple melodies that they can sing to themselves, and they can relate to. Composers and songwriters: rediscover your roots!